This week I’ve had the pleasure of meeting with two different floral/event designers: Debbie of Orange Blossoms Floral and Event Design and Geri of Gerilyn Gianna Event & Floral Design. Both ladies are incredibly talented, seasoned professionals that strive to bring your vision to life – whatever your budget. 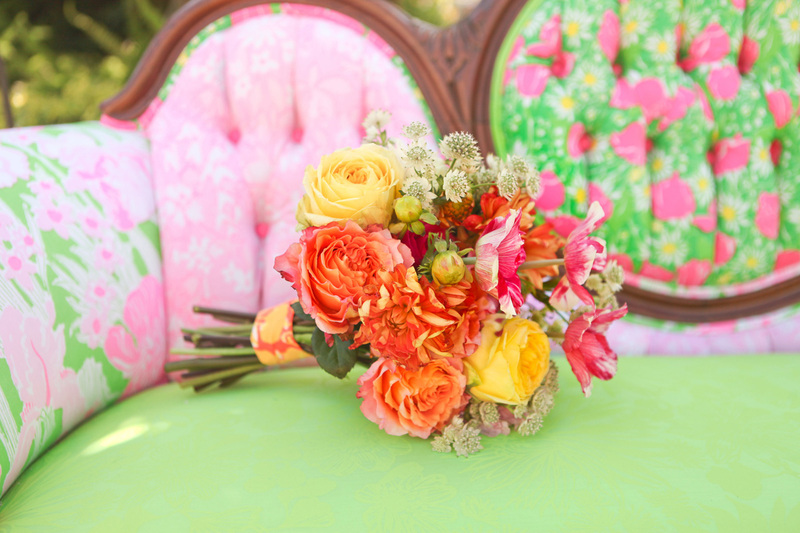 Your bridal bouquet is the most important of your floral purchases. They say the most about who you are as a bride and how you envisioned your day. Whether it’s a bouquet of classic white stephanotis, romantic peonies, rustic sunflowers or something a little more avant-garde – the bridal bouquet will send a very distinct message. Women like Geri and Debbie help bring that vision to life! Are flowers not your style? Luckily, you are not bound to carrying just a floral bouquet. From seashells to brooches to buttons to ribbons, you can use whatever elements and embellishments best reflect you. Here are a few examples of unique bouquets the team of The Majestic Vision have created for brides. For a simple, single flower bouquet, consider using Costco Wholesale for your flowers and using your imagination to create your bouquet. Click here to see the full slideshow. Love the ocean and beach? 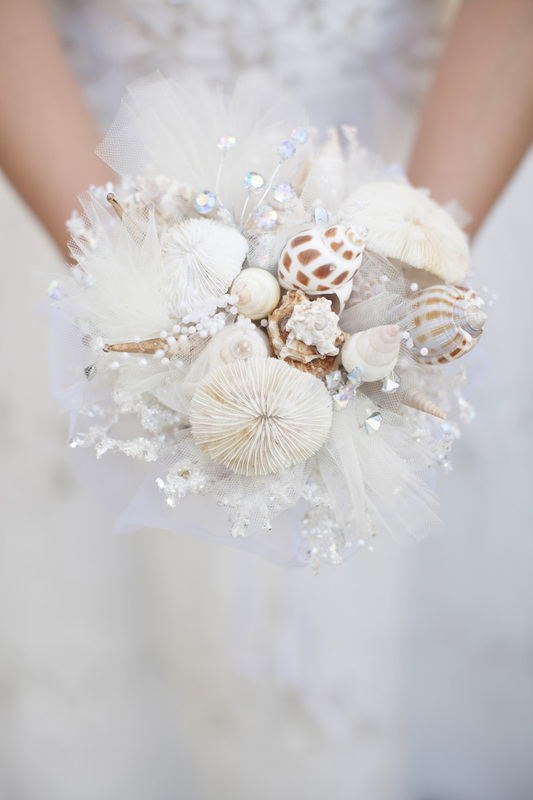 Collect some seashells for a beautiful, unique bouquet. BE WARNED: it can be very heavy. Consider making a 2nd floral bouquet to toss. Click here to see the full slideshow. 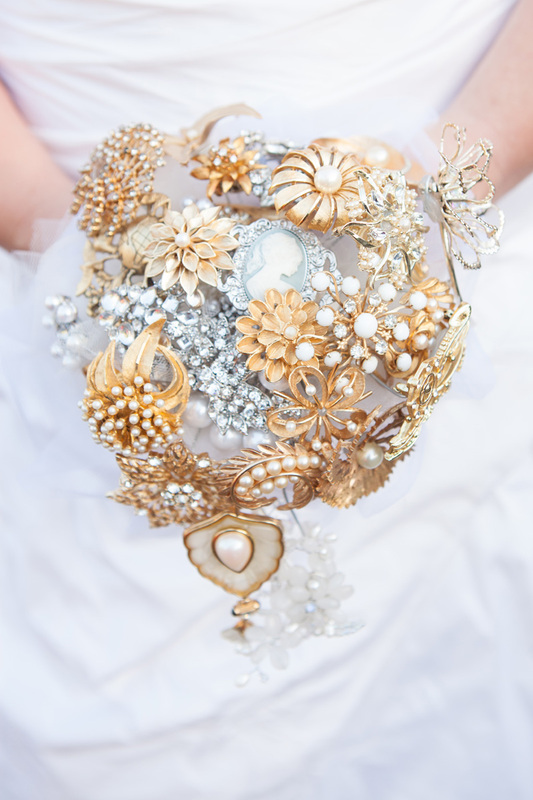 Incorporate your something old and borrowed into your bouquet with heirloom brooches. How touched would grandma be to have you use her brooch? Click here to see the full slideshow. 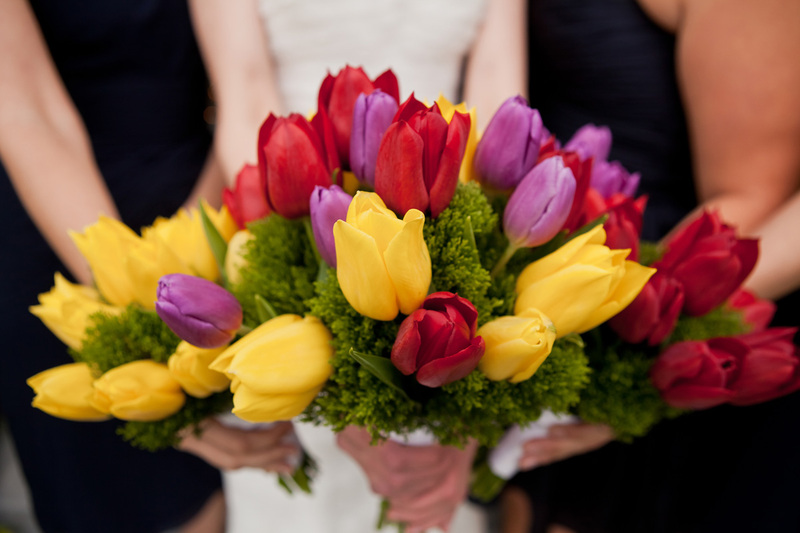 There are as many options for bridal bouquets as there are brides. No matter what you choose, make sure you pick something you absolutely love to take it from ordinary to extraordinary!